We recommends the following processor speed, memory, graphics and disk space for better performance of EDWinXP software. i5-processor or higher, Pentium IV or higher (or equivalent) recommended. (For Pentium III: 900 MHz CPU, or equivalent, minimum). Windows 10: 4GB or higher recommended. 2 GB minimum. Windows 8: 4GB or higher recommended. 2 GB minimum. Windows 7: 2GB or higher recommended. 1 GB minimum. Windows Vista: 2GB or higher recommended. 1 GB minimum. Windows XP: 1GB or higher recommended. 512MB Minimum. Windows 2000: 512MB or higher recommended. 256MB minimum. Three-button mouse or wheel mouse recommended (two-button mouse minimum). 1024 x 768, 32 bit color display recommended, 800 x 600, 256 color minimum. You must have Internet Explorer version 5 or equivalent installed for certain features of EDWinXP software to operate correctly. With every copy of EDWinXP follows a set of one or more USB LICENCE DISK(s) - depending on purchased range of the package. USB Licence Disks contain necessary information to SETUP the program and to install required system components from CD-ROM on to user's computer. During installation procedure, you will be asked to enter (select) the disk drive where USB Licence Disk is inserted. By default, the SETUP program will suggest target subdirectory/ folder for installation to be C:\EDWinXP. User may change this assignment prior to installation, entering other path into text box of confirmation dialog displayed by SETUP program. In most instances all purchased Licences will be stored in one USB Licence Disk. In such case the whole package will be installed in one go. The list of system components covered by purchased Licence will be displayed by SETUP Program. 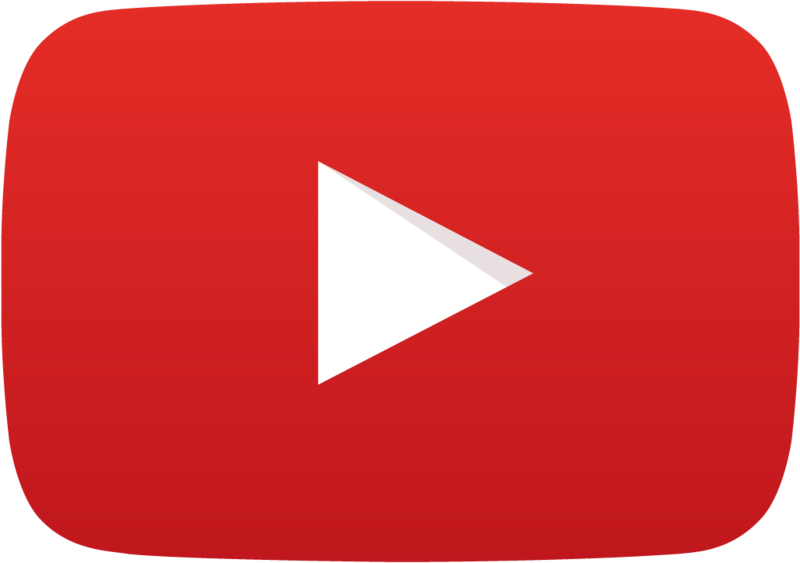 It is also possible that the user will be supplied with Licence Disk for main part of the system and separate Licence Disk(s) covering add on features. In such cases, each Licence must be installed separately starting with main system Licence Disk. It is possible to use evaluation version of EDWinXP and later activate EDWinXP. The evaluation period may also be extended. 1. Click on Install EDWinXP on the Autorun Window to pop up Product Installation dialog. 2. 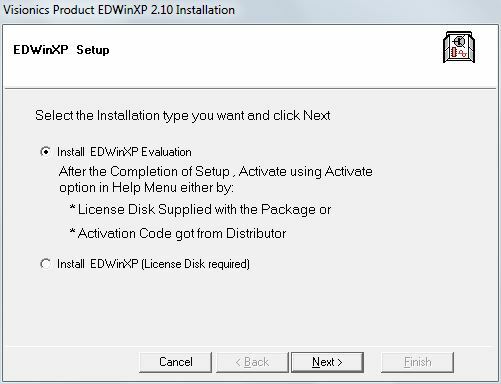 Select Install EDWinXP Evaluation. For details on activating the product or extending the evaluation period, refer Product Activation. Note: Plug-in’ are not available with evaluation version. 1. Unzip the contents of the zip file to a temporary folder. 2. Run setup.exe to Install EDWinXP. Attention Windows 7 & Windows 8 Users: In Windows 7 & 8 User Account Control Setting should be minimal for installing EDWinXP . Attention Windows Vista Users: Windows Vista requires Administrative privileges to run setup programs. Right-click the setup.exe and click "Run As Administrator”. Note: It is important that the name of the temporary folder should NOT be in long filename format. A folder name with spaces in between or number of characters more than 8 are NOT acceptable. If not taken care, this will lead to an error : "Install.lst missing or invalid" OR "Command Line Invalid". 2.Select Install EDWinXP. This requires Licence Diskette supplied with CD-ROM. 4. Provide the path of licence diskette for full installation. Click on Next button. 5. Select the destination folder for EDWinXP. 1. You can activate EDWinXP either from Access Verification Window or from menu item Help / Activate EDWinXP on EDWinXP Project Explorer. 2. Product may be activated either using Licence Disk or Activation Code. 3. If activating through Licence Disk, provide the path of Licence diskette and click OK button. 4. If activating through activation code, send the Product ID to your distributor to obtain a valid Activation Code .You can also activate it online by using the activate online button. Enter this code in the space provided and click OK button. 5. To extend the evaluation period, follow step 4. • While requesting for activation code, the Product ID should be sent along with full purchase details. The details should contain the information furnishing the version of EDWinXP, type of License and type of EDWinXP. c. Type of EDWinXP – Schematic/ Standard/ Deluxe/ Professional. • The product ID will be varying with respect to time, but the activation code given for a product ID for a specific computer will be valid for licensing EDWinXP in that machine. Enterprise Licensing keeps a check on the number of licensed users of EDWinXP in a network. The machine on which Enterprise License Manager is installed acts as the server. The client machines (i.e. machines having EDWinXP installed) should connect to this server and depending on the license available will be granted permission to use EDWinXP. For e.g. : if 5 licenses have been purchased and there are already 5 users of EDWinXP in the network, the sixth user will not be allowed to use until one person logs out. 1. Click on the menu item Help / Activate EDWinXP on EDWinXP Project Explorer. 3. Enter the name of the system where EDWinXP Enterprise License manager is installed and click OK.
1. Click on the menu item Help / Plug-In Licences on EDWinXP Project Explorer. 2. Plug-ins may be installed either using Licence Disk or Activation Code. 3. If installing through Licence Disk, provide the path of Licence diskette and click OK button. 4. If installing through Activation Code, send the Product ID to your distributor to obtain a valid Activation Code. Enter this code in the space provided and click OK button. 1. After installation, while invoking EDWinXP, the splash screen vanishes and the software is not accessible. 1. Missing of registry key of Live update. 1. Run the Live update utility to fix this problem. 2. While invoking EDWinXP, a message “Unauthorized copy” pops up. 1. This can be caused when one version of EDWinXP is installed over a previous installation of EDWinXP (same or different version) in the same computer. 2. If the license of EDWinXP installed on a system is changed. 3. If the ARTWRK.BIN file is missing from the installation folder. 1. Take backup of the files from JOB, LIB directories etc. 2. Uninstall EDWinXP; if possible, backup the license to a floppy disk or a USB flash memory. 3. Delete the EDWinXP installation folder. 4. Install the new version/ current version in administrator mode. 5. License EDWinXP with the retrieved license or with an appropriate activation code. If it hasn't worked, please send us your EDWinXP‟s product ID along with full purchase details for the new activation code. 3. While invoking EDWinXP, a message “Invalid text to decrypt” pops up. This error mainly occurs when the software is installed and licensed in User mode. Other causes can also arise to create this error. 1. Install and license EDWinXP in administrativ2. If EDWinXP is not working, select the EDWinXP.exe from the installation folder and choose Run as Administrator. Note: Please always confirm that EDWinXP is installed in Administrative mode. 3. If nothing helped, send us the Product ID with full purchase details of EDWinXP..
4. “Some of the system files are out of date, update with newer files”. Operating system files are older when compared to the files of EDWinXP. 1. Delete „Setup1.exe‟ file from C:\WINDOWS for Windows XP and from C:\WinNT for Windows 2000 operating systems. Then run the Setup.exe from EDWinXP CD or from the unzipped file. 2. Check whether the environment variables are correctly set for the TEMP and TMP folders. 5. "Unable to access drive"
Files missing in the network path. Map the Network drive before installation. 6. "There is not enough disk space on drive” /” Estimated additional bytes are needed. Limited space in the hard disk drive. Free more space in the hard disk to install EDWinXP. Copy the Actbar.ocx file from the EDWinXP CDROM to the EDWinXP installation folder. When trying to install from a network drive the following error pops up. This error is caused mainly when EDWinXP is installed through a network. This error occurs if the installation is cancelled while the software is installing. Setup packages built with the Package and Deployment Wizard will not run on the original version of Windows 95 due to lack of support for an API function in the file Oleaut32.dll, version 2.1. The failure does not occur on later versions of Windows 95, Windows98, or any versions of Windows NT 4.0 and later. Further, this failure does not occur if another program installation, such as installation programs for Microsoft Office 97, Internet Explorer 3.0, or Internet Explorer 4.0, has updated Oleaut32.dll to a newer version. To resolve the problem, the latest Automation files must be installed onto the client machine before SETUP.EXE can run successfully. The latest Automation files may be installed by using VBRUN60.EXE. VBRUN60.EXE installs the Microsoft Visual Basic 6.0 run-time library (MSVBVM60.EXE) and updates required Automation files used by Visual Basic 6.0 applications (including OLEAUT32.DLL). After VBRUN60.EXE is run successfully, the SETUP.EXE program may be run to install EDWinXP Product. 1. After the purchase, EDWinXP can be used indefinitely. 2. If necessary, obtain evaluation extension code for few more days. 2. When clicked on the “Activation” button, nothing happens in Windows Vista machine. The User Account Control prevents the invoking of the activation window. This may be due to older version of Dcom98.exe file residing in your system, which needs to be upgraded. To resolve the problem, select the directory TOOLS in EDWinXP Installation CD. Double click “Dcom98.exe” file residing in DCOM directory. This error mainly occurs in the library. Reinstall EDWinXP and license it. This error usually occurs after updating your operating system. This can be a hot fix, service pack update or in certain cases it can be due to mismatch in the EDWinXP, or Antivirus updation. Run Unregister.exe and register the dll, exe, ocx files. If this didn‟t fix the problem, then reinstall EDWinXP. Purchase the upgrade/ newer version from our website www.visionics.a.se , distributors or from Visionics. Install the newer version as a fresh installation. Then activate it with the license provided by the distributor/ Visionics or with the activation code obtained from the website. Select EDWinXP – Uninstaller from the program group (created while installing EDWinXP). This action deletes all directories and files leaving behind custom library files/ database files (other than those supplied with EDWinXP). 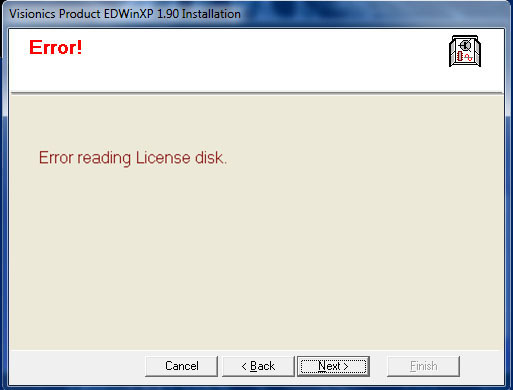 Note: If you have activated EDWinXP using Activation Code, you may not have a Licence Disk. While uninstalling when the program asks for Licence Disk, insert a new formatted floppy and continue. When trying to uninstall EDWinXP, a message as “Cannot find Uninstall Log file” pop up .This may not allow to uninstall EDWinXP properly. The install.log file is missing from the EDWinXP directory or the content of install.log file is changed. Please don‟t delete or change the install.log file in the EDWinXP folder.